Your smile is a critical part of first and lasting impressions – for good or bad. We help our patients restore their most noticeable and memorable feature using the latest cosmetic procedures, boosting the confidence that comes with a gleaming smile. The “crown” of a tooth is the part above the gums. Crown lengthening and aesthetic crown lengthening procedures can pull back the gums to expose more of the tooth. Crown lengthening is performed when a tooth needs a new cap, typically after a tooth has broken off below or close to the gum line. When a cap is fitted onto a natural tooth, it is necessary to have as much of the natural tooth available to fit the cap onto. A crown lengthening procedure pulls back the gums to expose more of the natural tooth so the cap can fit properly. This provides you with a more functional, natural-looking and durable cap. An aesthetic crown lengthening procedure may be performed when your gums have grown up onto your tooth, covering more of your tooth than normal. This can be a dental health concern if you are unable to fully brush teeth that have been covered by the gums. Plaque can build on the covered teeth, and decay is more likely to occur. A gingival contouring procedure may be recommended if your gums have grown up to cover more of your teeth than normal, giving your teeth the appearance of being uneven or too short. Gingival contouring pulls back the gums to provide you with a more level, natural gum line. When your gums recede, the nerves at the base of your teeth are exposed. This can cause discomfort or pain when hot or cold foods and drinks come in contact with the exposed nerves. Even if you are not affected by nerve sensitivity, receding gums will also make your teeth appear longer, which can give your smile an awkward or less appealing appearance. A soft tissue grafting procedure will cover the base of your teeth, eliminating nerve exposure and restoring your ability to consume hot or cold foods. 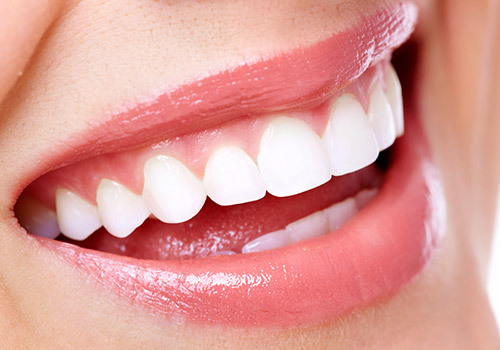 As an added benefit, this procedure enhances the appearance of your teeth. Normally, gum tissue surrounds and protects the delicate roots of your teeth. Exposed tooth roots are prone to tooth decay, root canals, discoloration and jawbone loss. All of this can lead to tooth loss in advanced cases. Functional soft tissue grafting replaces the missing gum tissue and protects your teeth. I may be recommended for back teeth as well. In addition to functional issues, receding gums can be unappealing. Longer looking teeth and exposed tooth roots can give an “old” appearance to your smile. Cosmetic soft tissue grafting can add a new, youthful appearance to your smile. During this procedure, we take gum tissue from your palate or another source to cover the exposed root. This can be completed for one tooth or several. The Chao Pinhole Surgical Technique™ (PST™) may be an appropriate choice for people who are diagnosed with receding gums or for those showing signs of gum recession.